Fire Emblem Warriors Trailer and Release Date 2017 | Nerd Much? 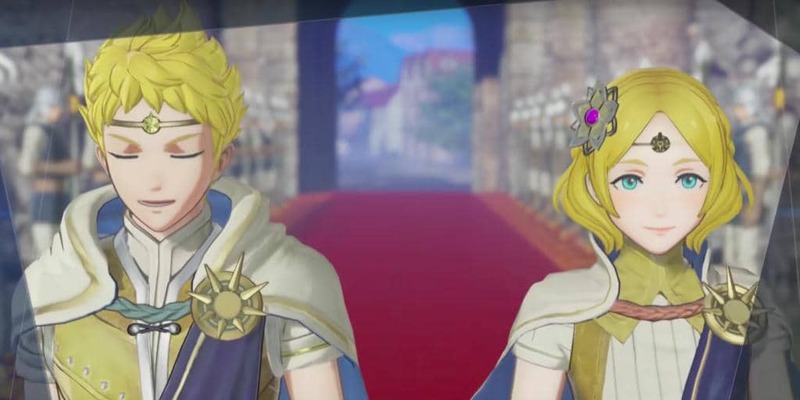 At Nintendo’s Treehouse event for E3 2017, the company revealed Fire Emblem Warriors, coming to the 3DS and Switch this fall 2017. Warriors is another addition to the Fire Emblem series, an RPG top-down strategy game, focused on a spiraling story filled with exceptional moral decisions. The heroes features in the trailers are Marth, Chrom, female Corrin, Ryoma, Xander, and the game’s original heroes. In this game, it seems they’ll be taking on a huge dragon, that threatens to “bring chaos and destruction to the land.” As one does, if one is a dragon. The trailer seems to imply a lack of turn-based combat, but that seems highly unlikely as it is a trademark of the series. Fire Emblem Warriors has no confirmed release date beyond fall of 2017, hopefully we’ll see more as the summer comes to a close. There is frighteningly little from Nintendo for 2018. I do hope they are not committing with the Switch exactly what they hoped to avoid: an enormous gap in game releases for their new system. However, Microsoft did the same with their presentation, only showing games that would be coming out in 2017. Perhaps there is a strategy to Nintendo’s madness, as often usual for the company.